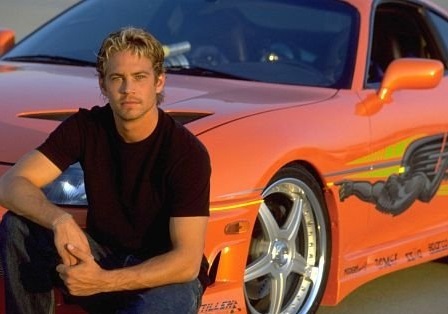 There were many cars that flashed before your eyes in The Fast & the Furious franchise but only one well-beloved piece is up for grabs – Paul Walker‘s customized 1993 Toyota Supra. This stunt car was one of the few cars built for the film. Paul’s character, Brian O’Connor, rode off in this stunt car in the final race at the end of the original film. The blazing orange car has a five-speed manual transmission and a a 2JZ-GE 3.0L/220 HP inline-6. It will be auctioned off in Indianapolis at the Mecum Auctions Indy 2015 event on May 12th. If I had the money, I would buy the car. At least I know the money is going to a great cause. Paul Walker was an amazing guy, who had a love for people, his daughter, making movies something he loved dearly and a charity that he wanted to So badly to make a difference in other people’s lives.